On April 27, 1865 the governor of New York State signed the bill that officially established Cornell University’s charter. Now, 150 years later, we’ll spend a four-day weekend commemorating this day in our history–the day that defined our land-grant mission and set the stage for generations of Cornellians to help, to solve, and to transform the world. 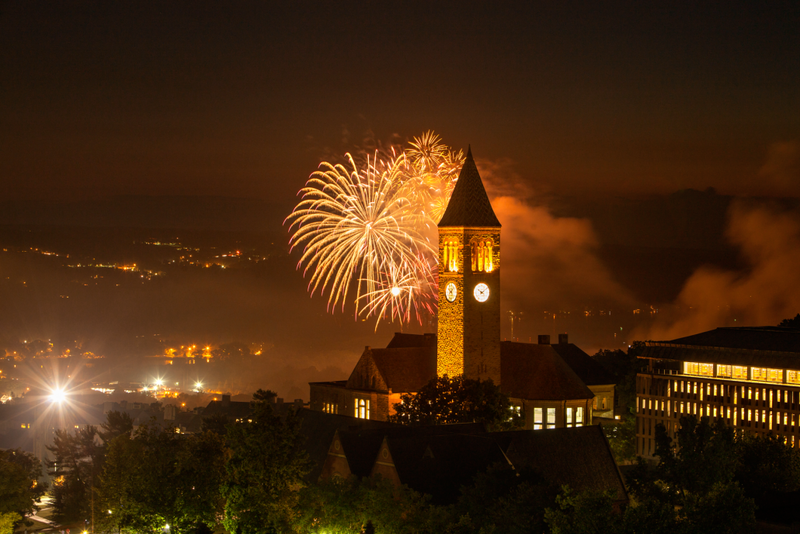 Charter Day Weekend is filled with more than two dozen official events celebrating the global contributions of Cornell alumni, faculty, staff and students. Additional campus activities will take place throughout the weekend—everything from athletic events and special exhibits to the unveiling of the Sesquicentennial Ice Cream. All events are open to the public. Limited video streaming opportunities will be available throughout the weekend.